and a lot of weather-based sickness. 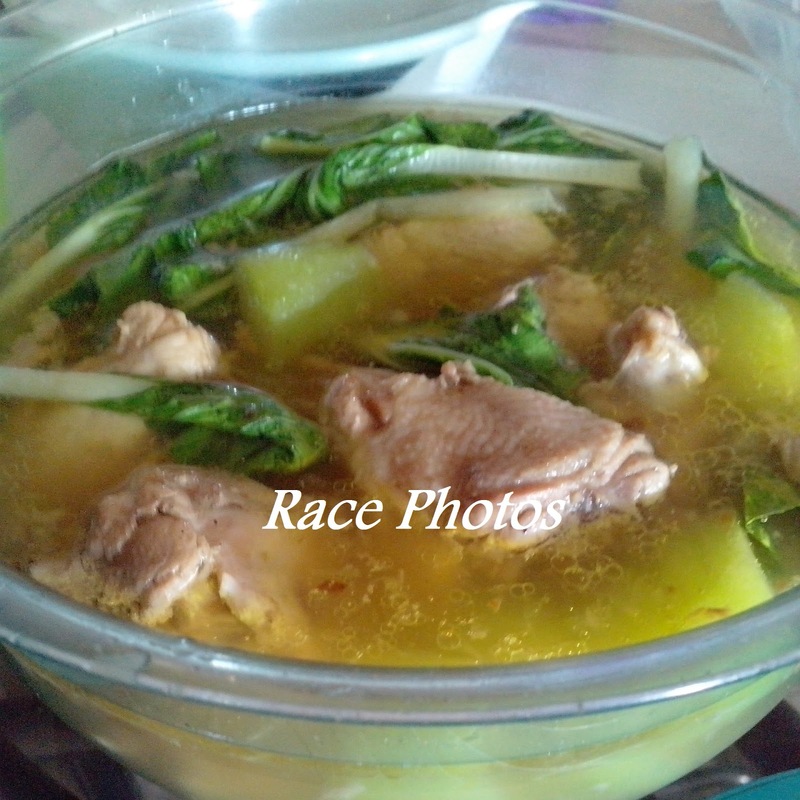 To set the mood for the rainy night I cooked chicken tinola which is my Mom and DH's favorite. The food is so perfect for the weather and for my Mom who is not feeling good. Hope this one will change her mood and somehow lighten her cough and headache. She's requesting this since the other day so I bought the ingredients over the weekend to come up with this. I'm also not feeling well but I can't get sick as Bayantel will make their assessment tomorrow for our company's standard procedures and policies. - Heat oil and saute ginger, garlic and onion. - Bring to a boil and when chicken is cooked already add salt, pepper and chicken cube. - Add sayote and when cooked you just add the remaining ingredients- pechay and dahon ng sili.